For a lot of musicians, there’s a bit of a love/hate relationship going on with cover songs. On one side of the equation, it’s fun and insightful to cover other people’s songs. And if you pick the right song, fans will really go crazy when they hear a classic tune. On the other side, covers can be downright frustrating. Especially in the early stages of a music career, venues want mostly cover sets, and the covers you release online can seem to get more attention than your originals. It can make you feel underappreciated, almost like the industry is pushing you into a cover band box. Tributes “R” Us. So that leads to today’s topic… How to make great cover songs. AND how to use covers to actually raise awareness for your ORIGINAL music. To show you how to make cover songs and turn them into musical expressions and tools that help you grow your audience and raise awareness for your originals, we’re hosting a free webinar. Daniel Roberts and I will be walking through 5 essential “Ninja Skills” that you can use to adapt cover songs to your own unique style and make a mark on the cover song world. Click here to sign up for free (choose the date and time that works for you). What’s the best way to get people who hear your covers into your original music? Put your own unique spin on every song you cover. That means bending the songs stylistically to fit with the kind of music you play and write. Sometimes that will mean a few minor tweaks or just adding your own color. Sometimes it’s a total genre switch and completely different instrumentation. Not only does this make you stand out from the multitude of cover songs flooding the internet and venues, it also makes the transition to your original music a lot smoother. In a way, listeners have already gotten a little taste of your original sound by listening to your cover rendition. They’ll have a much better sense of what you’re all about as an artist and will be much more comfortable when you move to the original song. We’ll be really drilling down into this point in the free webinar, so make sure you join us live for more awesome tips! There’s this fascination with “viral” videos in the music industry. But a ton of views on a cover aren’t worth much on YouTube unless you can get in touch with those people again. We’ve seen a lot of musicians hit it with a crazy viral video only to release an original music video on deaf ears. So instead of thinking, “How can I get 10,000 views,” get yourself in the mindset of, “How can I get as many viewers as possible to subscribe?” Setting up suggested videos or playlists on your YouTube channel can be a great way to get people to continue watching, which increases the chance they’ll actually subscribe. This goes for your live shows too. If you are forced into doing cover sets, think about ways you can connect with those people again. Maybe it’s a contest where they have to follow you on Facebook to enter. Or even a USB stick that you hand out for free with a recording of one of your original songs and your social media channels written out on it. And that leads us into the next point – utilizing call to actions. So what exactly is a call to action? It’s basically just you directly asking your viewers or listeners to take some further action. Maybe it’s watching another video, or subscribing to your channel, or entering your contest, or clicking the link in your description box. If you’ve never done this before, it can definitely feel a little awkward and even pushy at first. BUT it’s been proven time and time again that directly asking people to do something increases the chance that they will. If you’re releasing covers on YouTube, you can easily use “cards” to suggest other videos your viewers can watch next. As you upload your video, you’ll be able to add cards in the “Cards” tab across the top of the upload screen. Use cards to suggest other cover songs or even original songs when people reach the end of your videos. If you’re doing a cover gig in a venue, it’s pretty easy to add little call to actions as you talk to the audience. Ask them to follow you on Facebook for more covers and originals, or to see photos that you posted from the show. Ask fans to visit a certain URL where they can get a few songs in exchange for an email address. 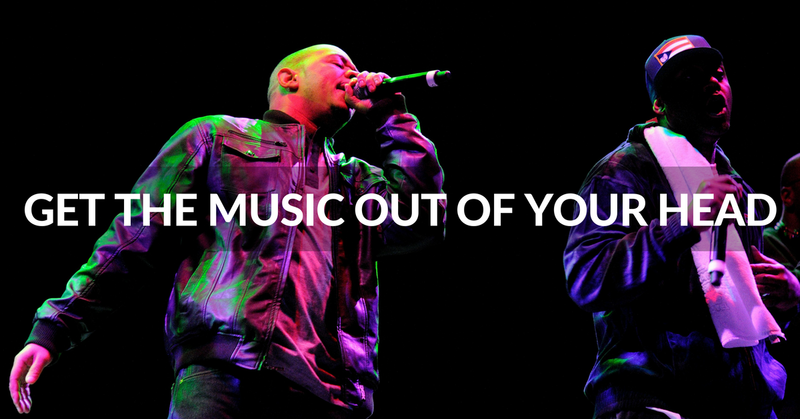 Try giving them a cover and an original to introduce them to your own music. If you’re really savvy, give out little download cards so they don’t even have to memorize the URL. As you can see, cover songs can be an extremely valuable part of your approach. And on top of that, they can really help you grow your audience and get more fans. If you want more ideas of how to make cover songs your own, I hope you’ll join Daniel Roberts and I in a free webinar. Click here to register for free and learn the 5 essential “ninja skills” that every musician needs. SUBDIVISION & GROOVE – Rhythmically drop into any musical context and make people dance. SCALES & TONALITY – Immediately know where the “right” notes are before ever playing a new song. HARMONIC FUNCTION – Be able to understand and play chord progressions after only hearing them once. MODES – Find the best notes to play over any chord to make your melodies stronger and more memorable. VOICE LEADING – Create smooth chord progressions and riffs that don’t get in the way of other parts. But have no fear – just because you had a bad music theory education (or no formal music education at all) in the past doesn’t mean you can’t give yourself a fantastic one now. In fact, if you learn music theory as an adult with the music chops you already have, it means that you’ll be able to actually apply everything immediately. There is a beautiful world of music theory you can discover and use. Here are a few music theory secrets from that world. First, when it comes right down to it, music theory is just a way to name sounds. It isn’t derived from a set of archaic principles. Instead, it is just a way to name and talk about how (in general) humans hear sound. There are no rules – there are only sounds with names to be explored and reveled in. For instance, a key is just a pool of notes that sound “pleasing” and are useful for making musical ideas from. A chord is just three or more notes stacked on top of each other. A motif is just a short musical idea – exactly the same as a phrase you might say in any other language. Second, you do not need perfect pitch to understand, explain, or play any music you hear. You just need a decent understanding of theory. For example, theory teaches you to name the function of the chords. This gives you a way to train your ear to hear these functions in any music and quickly figure out the exact names of chords being played. You can do this with any sound – chord or not – in music. 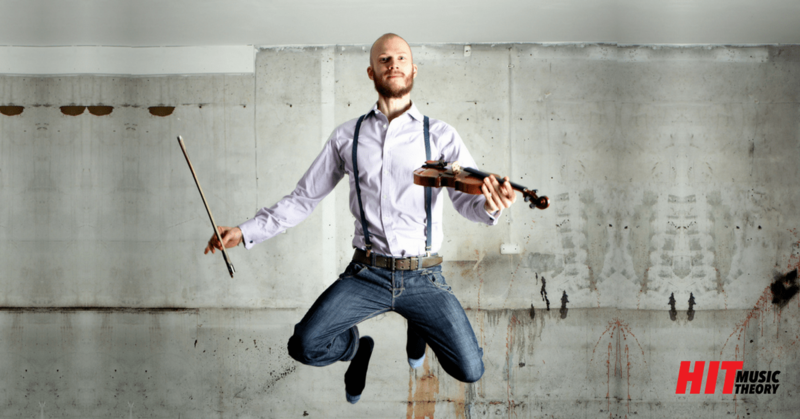 Developing this skill can give you a huge leg up in all musical situations. One of the most common reasons many of us get stuck in creative ruts is that we keep running over the same musical ideas without reflecting on what they are, how to talk about them, or how to use them. Music theory provides a way to name what we are doing and intentionally to reframe and create new musical ideas. For instance, if you learn that you are always using major chords, you can shift your focus and throw in a few minor chords instead. If you always play rhythms made out of eighth notes, you can learn about and use triplets. Once you learn music theory and start using it this way, you will never have to be stuck in another creative musical rut again. There are so many more ways that theory can enable and empower your creative work – and it is all something you can start learning and using today. One of the best ways to start exploring music theory is through an online course. There are tons of options out there, but if you want to learn music theory with modern examples from popular hit songs, check out Hit Music Theory. We all have found ourselves hearing something in our head that sounds so great that we have to play it and get it down on paper. However, once we find ourselves there, the next step of actually getting what we are hearing into a form that we can use often becomes too frustrating to accomplish – and then as we sit there in front of the paper or DAW being frustrated, and the music we hear disappears into the ether. Thankfully, there are ways you can learn to get the music out of your head and make this process easier – even seamless. Here are a few of the key points to focus on while developing this skill. There are many reasons for every musician to sing, but one of the most compelling for me has always been the power singing has to develop what “we in the business” call “big ears” – the ability to hear, identify and play whatever you want to hear. Singing has a way of checking whether we hear things accurately. Often, what we don’t actually hear what is in our heads as clearly as we think we do. Singing reveals this. If you can’t sing it, you can’t hear it. You might find singing uncomfortable at first, so feel free to find some space to practice this where no one can hear you. Don’t worry about singing with good tone or anything. Just hit the pitches you are trying to hear. If you want more guidance and ideas, we’re doing a free webinar that will cover 5 Ninja Skills Every Serious Musician Needs. You’ll learn more practical music techniques that will help you boost your creativity and communicate your ideas. Click here to register for free and choose the date and time that works best for you! To help identify the pitches you are singing, give each of them a name. Most musicians who study music in school do this by using solfege (Do, Re, Mi, Fa, Sol, La, Ti, Do) or scale degrees (1, 2, 3, 4, 5, 6, 7). The most important thing to remember when using these systems is to keep using them. As a melody passes by, just sing it with these syllables as best you can. If you discover later that you used the wrong syllables, you will know your ear is improving. As you get comfortable with this approach, it will get easier and easier to know what note you are singing at any one time. Pretty soon, simple melodies will become easy to write down because you will clearly be able to hear and identify them. You will probably find that certain parts of music are easier for you to hear than others. Some musicians hear melodies more clearly than bass lines. Others hear harmony lines easier than melodies. Choir members often most naturally hear the parts that they sing the most. Be honest with what you hear best and be sure to spend time singing whatever you need to hear more accurately. Bass lines and melodies are often a great place to start because they often frame how we hear everything else. After that, learn to identify and sing all the pitches in harmony lines, chords, riffs, solos and any other extraneous musical parts you hear. This last point is pretty simple, but very important. Often the reasons we can’t write down what we hear is simply because we never work on it. When it comes right down to it, this is often because we don’t like facing the fact that we are still bad at it. News flash: You will always be terrible if you never practice. In fact – that is the best way to ensure being terrible. The time to start is now. Give yourself a safe, quiet space to write and do it. Every day. It doesn’t have to be a lot. Just write something. Growing up in school and only ever being allowed to read the dots on the page in front of us. Learning some of the “rules” in the world of music theory and feeling forced to follow them correctly. Joining a band or other musical context with people who are critical. Being generally surrounded by people critical of you. All of these places often add up to an enormous burden of self-criticism that makes us afraid to play for fear of playing something “wrong”. But the problem with this way of thinking is that it completely upends the fundamental nature and purpose of music, which is to express how we feel and think. So – the first thing to do is to find what helps you to let go of any critical voice and start trusting your ear. Your ear is ALWAYS the final say in every musical situation – NEVER anyone else’s opinion. Remember: it is your own self-expression we are talking about – not someone else’s taste in music. You can tell when when what you are playing resonates with what you want to hear. Do that. It will let you play and jam with anybody. Want to learn more essential music skills? Click here to download the “Inside the Hits” ebook for free and see what’s going on musically behind 10 of today’s hit songs. To find what you want to hear, one of the best things to do is take musical risks and make “mistakes”. Many of the best musical ideas come from “mistakes” during practice sessions, recording dates, live situations, and any other musical context you can think of. Since these mistakes can be so valuable, make them happen more often by intentionally taking risks. Playing a chord other than the one you are “supposed” to play. Using a scale other than the one that the song seems to use. Moving a riff up or down by some number of frets on your guitar or keys on your keyboard, etc. Playing a random set of notes on your instrument. As you explore and take risks, you will find more and more ideas that you like. Whenever you come across one, play it for a while to let it sink in and come up with a way to name it so you can recall it easier later. 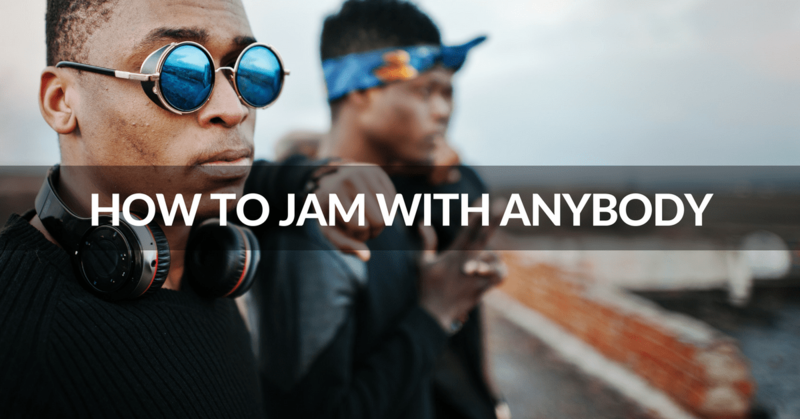 Trusting your ear and taking risks will take you a long way into the world of jamming. Remember to be kind to yourself and have fun! The best musicians are always exploring, listening deeply, trusting their ears and taking risks. They do not spend much time listening to the critics. Give yourself the space and relationships to be free of hurtful criticism and just keep playing – and the more you play, the better you will get. Now go pick up your instrument and get to it!